Filipino actor and tenor Miguel Castro would go places, literally and figuratively. The first I saw and heard him sing, I was impressed not only by his looks which is very Filipino and muy simpatico, but by his musical singing talent most especially. He’s now playing Juan Crisostomo Ibarra in the Australian stage musical version of the Filipino literary classic “Noli Me Tangere,” originally a novel written by Dr. Jose Rizal. In this Aussie production, the book and lyrics were penned by Peter Fleming who is also the producer of the show. The Australian “Noli” musical in English opened last Friday, March 29, 2019 at the Riverside Theater in Sydney, Australia. It will run until April 6. “I am very happy for Miguel who is a very sensitive actor and an amazing singer. I learned about him playing Ibarra when he recommended me as the costume designer for the musical,” revealed ace fashion designer Albert Figueras who is now labeled as the International Costume Designer of the stage play. Castro, who formed the famous The Filipino Tenors, was able to clinch the role because of his talent when he was seen and heard by McFadden Music, an Australian arts company in one of his gigs in Down Under. “Miguel was very excited when he called me that the production was already sold-out prior to its gala premiere,” said Albert who failed to attend the showing of the musical because of his hectic schedule in the Philippines. He was also the costume designer of the other stage version of the novel, “Noli Me Tangere, The Opera” which was recently shown at Main Theater (Tanghalang Nicanor Abelardo) of the Cultural Center of the Philippines. Incidentally, the latter will see repeat performances due to insistent public demand in the same venue in June. In the case of the Australian project, Figueras coordinated about the costumes not only with Miguel but with its producer and director as well through overseas calls and Skype. “I just sent the wardrobe to them when they were already done,” informed Figueras. Fil-Aussie Susana Downes is tackling the role of Maria Clara in the musical show under the direction of Aarne Neeme. Other Australian and Fil-Aussie actors are portraying multiple characters in the show. “Miguel is very lucky about his breaks in international theater. Film and television abroad aren’t farfetched ideas for him,” opined Albert. 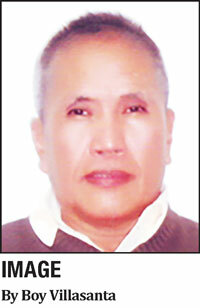 Castro was a talent discovery of the late prolific entertainment writer Bibsy Carballo. He has done many concerts and television appearances, one of them the now defunct “Aawitin Kita,” a TV show on traditional Filipino music produced and hosted by the late Armida Siguion-Reyna. ABS-CBN’s “Ang Probinsiyano” isn’t singing its swan song anyway, anyhow at this point that some of its main protagonists and antagonists are being killed like the character of Lito Lapid as Romulo “Leon” Dumaguit, the sympathetic leader of a rebel group named Pulang Araw and John Hilario as Homer and Alakdan, one of the villains. Lito and Jhong had to be “eliminated” in the narrative because they are running for public office in the midterm elections and it’s one of the rules of the poll body as Commission on Elections to deter the public appearances of candidates in mass media during the campaign period. 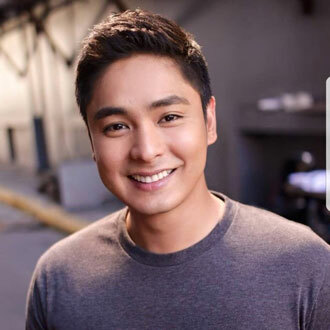 Coco Martin’s action caper is overwhelmingly enjoying a high viewership rating so it has to stay no matter how much the creative team has to stretch the flow of the story to no end its phenomenon is grounded mainly on the relativity of the whole package to the Filipino psyche of sympathy to the underdog personified by Kardo Dalisay’s struggles for the oppressed.